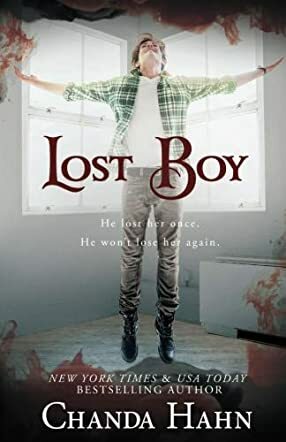 Lost Boy by Chanda Hahn is the second book in the Neverwood Chronicles. Wendy has returned to her family, but she has no memory of anything before. She was found years prior by her adoptive parents who pulled her out of the water. She struggles to get her life back to normal, but nothing feels the way it should. The boy she's told she liked suddenly isn't so charming. Teenagers are disappearing and the police seem to think she knows why. Then she meets him and everything changes. The mysterious boy claims to know her and opens her eyes to the threats all around her. When monsters find her, everyone she loves is in danger. As she uncovers her past, all roads seem to lead back to the boy who can fly. J.M. Barrie's Peter Pan hasn't been seen quite like this before. Chanda Hahn spins a modern tale with scientific experiments, teenage struggles, and mystery. Wendy struggles to get her life back to normal but mysterious disappearances of teenagers coincide with her own memory loss, putting her into the spotlight of the police. Hahn includes several Easter eggs throughout which will delight every Peter Pan fan. Peter's infamous name is often referenced with pan meaning a special ability to return from the dead, which is a fun wink at the idea of Peter being a boy who will never grow up. Other notable references found are the clever uses of tick tock and crocodile. The Lost Boys make appearances throughout with some new names included, but readers will recognize a few specific names like Slightly and Curly. The twists on the beloved characters are fun and original, entirely enjoyable and harking back to the original story. Each of the Lost Boys has special powers which pair with their personalities. Curly has the most potent ability of persuasion and just by touching someone he can control them. Michael has the most tragic time as he struggles to fight what Hook has done to him through his technology based abilities. Hook remains the villain but instead of being a deadly pirate, he's a scientist obsessed with the Neverland experiments. Dr. Barrie is a fun mention, giving him a silent creator and protector role over the Lost Boys freed from Hook which is a delightful inclusion honoring the creator of Peter Pan. Romance is light throughout as Wendy deals with sleazy boys when the image of a boy she liked before her memory loss breaks apart after his true colors are shown. Her romance with Peter is highlighted when he comes back into her life, though she can't remember who he is. This doesn't stop his dedication or you from falling for their sweet and classic dynamic. Hahn has fun moments through significant dynamics between characters. Tink and Peter maintain their strong friendship while Tink has an adorable and funny banter with John, and Slightly and Curly go on their own adventure to find a doctor from the experiments who disappeared. Lost Boy is a tale of adventure, spinning a classic story into a modern fight against the villainous Hook and scientific experiments that allow a boy to fly.